Reducing payments to high wage earners tops the list of remedies that would eliminate most of the systems debt. Participants in a study who were given the chance to consider several policy changes to shore up the Social Security system favored reducing payments to high wage earners, raising the retirement age and other remedies that would eliminate most of the system’s debt. Both Republicans and Democrats, by 3 to 1 margins, endorsed such steps, the Program for Public Consulting, a joint program of the Center on Policy Attitudes and the School of Public Policy at the University of Maryland, found in its study, which was sponsored by Voice of the People. The most popular options were: reducing benefits for the top quarter of earners (79 percent; raising the full retirement age to 68 (78 percent); raising the cap on income subject to the payroll tax to $215,000 (83 percent); and raising the payroll tax rate from 6.2 to 6.6 percent (75 percent). The study used Voice of the People’s “Citizen Cabinet” model to first give a representative sample of 738 participants information about Social Security’s problems and then ask which of several solutions they favored. The study found that even those who earned the most by large majorities favored solutions that would cost them more in taxes and reduce their benefits. At the same time, those in the lowest wage brackets favored increasing payroll taxes even though they would be affected disproportionately compared to those with higher salaries. 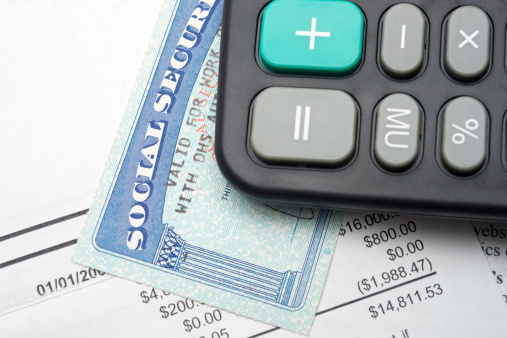 The report noted previous polling that showed Americans knew Social Security was heading for a crisis, but rejected the changes backed in this survey. If no changes are made to benefits or revenues, the Social Security surplus fund will run out of money in 2033 and payments will be reduced to 75 percent of promised levels. That’s because, the report said, participants were asked to think like a policymaker when considering the problem and possible solutions. “While it is often said that Social Security is a ‘third rail’ for Congress, it appears that, when they’re given the right tools, a majority of Americans can solve the Social Security solvency crisis,” said Steven Kull, who directed the study, in a statement.